Perfect for use in home workshops and garages, our professional folding engine cranes are sturdy and strong enough to use with any heavy engines or machinery you might need to lift and can be easily folded up and stored away. 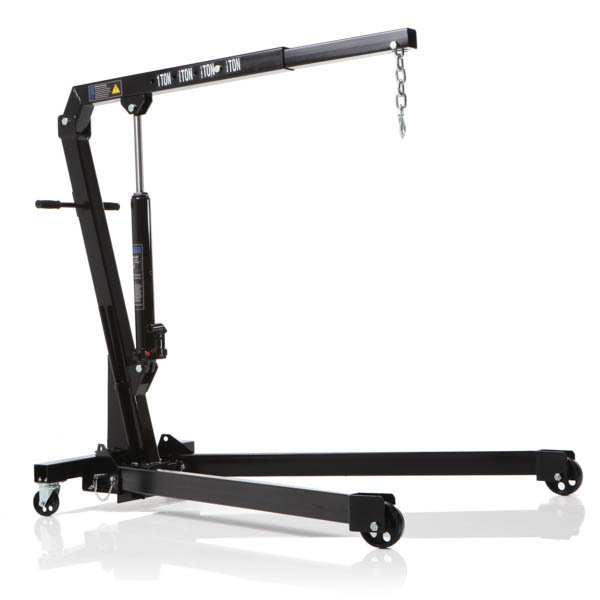 Perfect for use in home workshops and garages, our professional folding engine cranes are sturdy and strong enough to use with any heavy engines or machinery you might need to lift and can be easily folded up and stored away. With many of our folding engine stands already in stock and some of our models available for next day delivery, you can get your project started right away when you buy from our online shop. If you’re looking for a crane to lift and move vehicle engines, take a look at our range of 2 ton folding engine hoists here at SGS. They are a must-have when moving, repairing and performing maintenance on engines, machinery and other heavy components. Our models have a larger frame and greater lift height than our competitors, which means that they can be used with a wider range of vehicles, such as 4x4s. Complete with a manoeuvring handle and leg anchors, our folding engine hoists are secure, easy to move and safe. 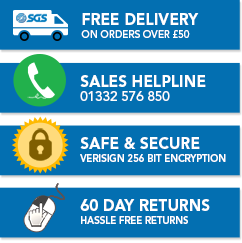 We aim to take the stress out of buying online – when you buy your fold up engine hoist with SGS, you can receive a 2-year warranty for added peace of mind. Plus, we have a no quibble 60-day returns policy in case your product is not suitable for any reason. Take a look at our full range of folding engine stands – they’re perfect for use in any workshop or garage and our range is the best choice for weight capacity, durability, storage and safety.